What is the first thing you think of when someone mentions Rio de Janeiro? Is it the bikini-clad girls walking down Copacabana or Ipanema beaches? Is it the fantastically colourful, exuberant and unashamedly raucous carnival? Perhaps it is the statue of Christ the Redeemer on Corcovado that springs first to your mind. Me, however, I'm perhaps a little more shallow, but if anyone says Rio close to me, the first thing that dances through my mind is some of the lyrics from Michael Nesmith's gentle 1977 song Rio, then perhaps rather predictably this is replaced by the cascading images of new romantics impractically wearing pastel suits on a yacht cutting through the waves spouting lines like, "Her name is Rio and she dances on the sand.". It's only then that my brain makes its way to the Brazilian tourist hot spot of Rio de Janeiro and desires to make it my next holiday destinations. Now, thanks to the ultra-popular exciting long-haul low-cost airline, voted best in the world, getting to Rio just got a whole lot cheaper and easier to get to. 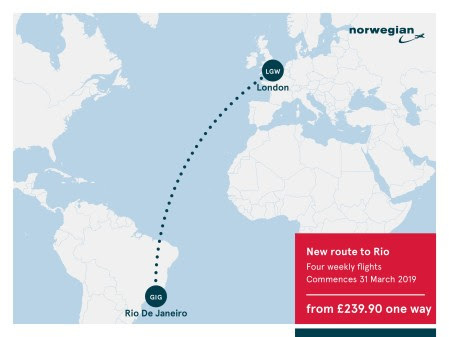 Norwegian is introducing a route from London Gatwick to the Brazilian gateway to a thousand dreams and beyond at a fare of from just £240 one way! From Sunday, March 31st 2019, Norwegian will break the monopoly on flights to Brazil with a new service to Rio de Janeiro–Galeão International Airport (GIG) from London Gatwick Airport (LGW). 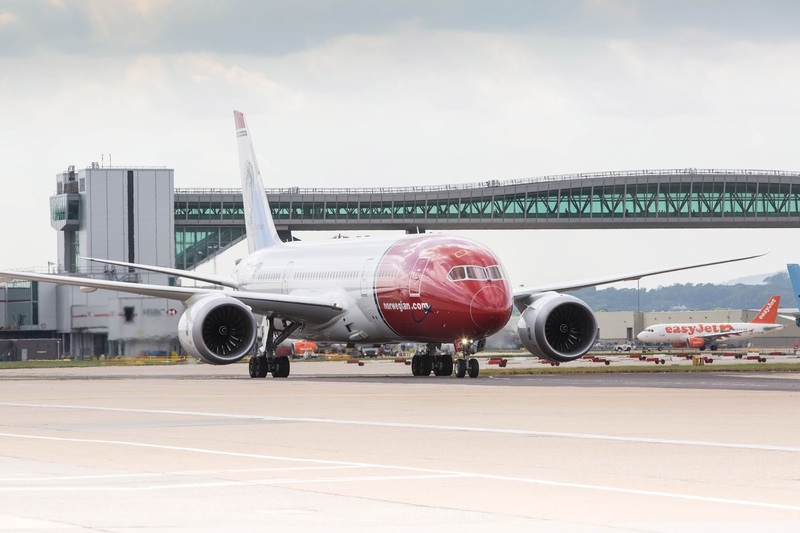 The airline is scheduling four flights each week, to operate on Mondays, Wednesdays, Fridays and Sundays using Boeing 787-9 Dreamliner aircraft with up to 344 leather seats in an economy and Premium cabin configuration. The growing carrier says it will offer one-way fares from £239.90 one way and £549.90 one way in Premium, much lower than current fares. The flight schedule will see the outbound flights departing London Gatwick at 12:00, arriving in Rio de Janeiro at 19:25 local time. On the way back, the flights depart Rio de Janeiro 22:25 arriving 13:35 at Gatwick Airport. The convenient timetable will also offer Norwegian customers in Europe and Brazil opportunities for onward connections using the carrier’s short-haul network of European flights. 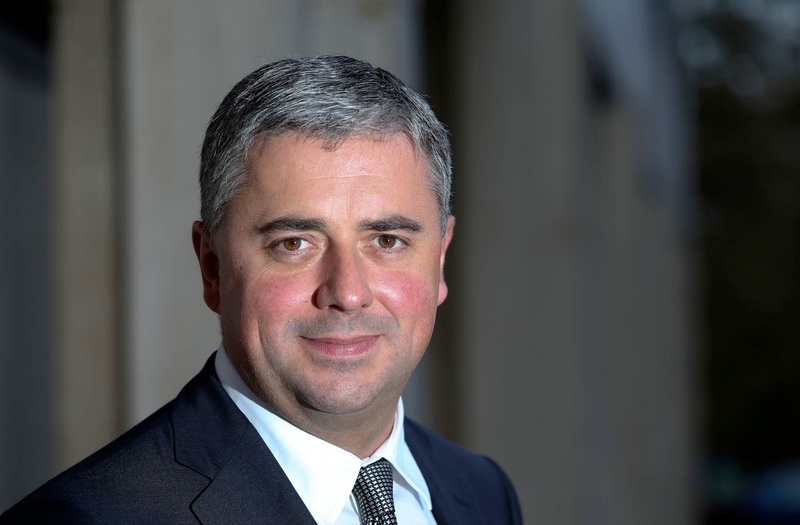 His Excellency Fred Arruda, the Ambassador of Brazil to the United Kingdom said: "The new direct flight from London to Rio de Janeiro by Norwegian is excellent news for connectivity between Brazil and the United Kingdom. It will certainly increase the flow of tourists, allowing more British people to enjoy the beauties of Brazil. It will also help to create jobs in our country and improve competition, potentially reducing costs for passengers. 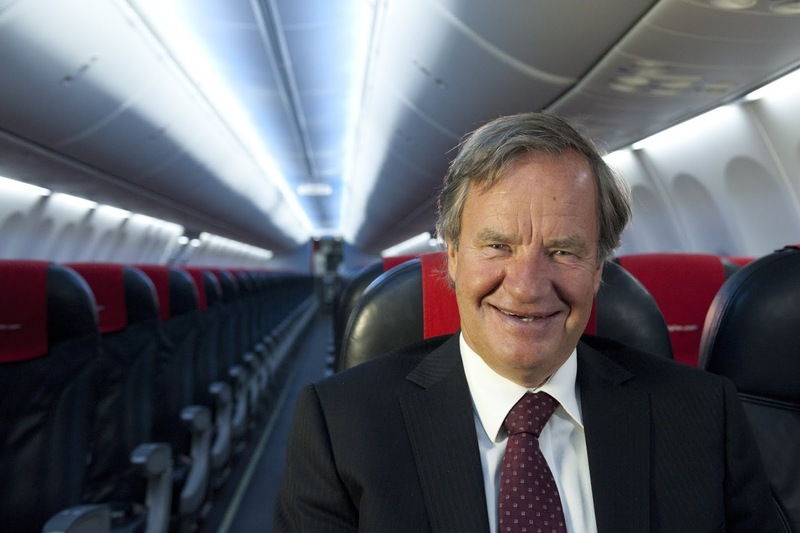 For that, we praise Norwegian’s announcement of the new route. " 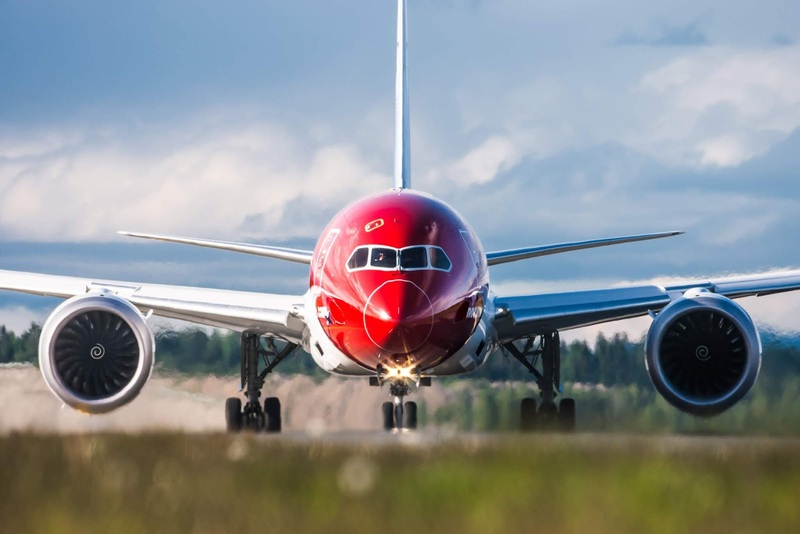 The new route to Rio de Janeiro follows Norwegian’s existing service to South America with direct flights from London to the Argentinian capital, Buenos Aires. The Gatwick-Buenos Aires route will increase from four weekly flights to a daily service from 3 December in response to customer demand. In October, the airline launched domestic flights in Argentina with two routes from Buenos Aires to Mendoza and Cordoba ahead of planned new routes to Salta, Iguazú, Bariloche and Neuquén. From London Gatwick, the airline’s long-haul network serves Austin, Boston, Chicago, Denver, Fort Lauderdale / Miami, Las Vegas, Los Angeles, New York, Oakland / San Francisco, Orlando, Seattle and Tampa.